When debugging a php application, print_r() or var_dump() often use to display the data inside the variable, usually an array that store many data inside. 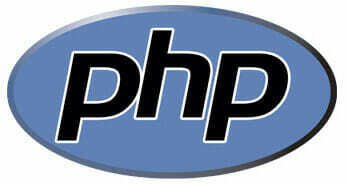 print_r() is core php function to displays information about a variable in a way that’s readable by humans. Not just a variable or an array, we can trace or display protected and private properties of objects in PHP 5. But when the php application is called by the curl or other remote connection (not using a web browser), print_r() won’t show on the client as return as it won’t write as output. So to debug a remote application, i often write the result or output from print_r() to a debug file. This is a simple trick to write the output of print_r() to the file. If this what you looking for, leave any comment or at least say thanks to support me. Hi Leigh, thanks for the tips. But how to capture output from var_dump() ? @Ivan, print_r does the exact same as var_dump() but allowing for you return the data to the variable rather than the screen. In Leigh's example, the true parameter is what tells print_r to return the data to the object. @luiscatarino I'm afraid it is not the same. var_dump have more details with data type. and print_r just output and array of data. but they are both almost work the same. and have the same goal, debug.